A 3 ½ hour hike, mainly in the shade, on the way back the hike goes about 2 km uphill at a stretch. ... to the San Mauro Canyon. 3-hours hike, downhill and uphill, sometimes also on the flats. 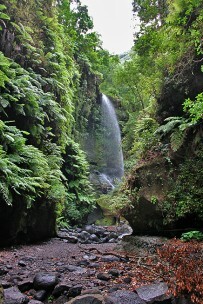 The Bay of Playa Salemera is located in the municipality of Mazo, in the southeast of the island La Palma. The pleasant seaside hike takes about 1 hour. Short hike (about 2 hours): On tour in Barlovento - From the Water Reservoir to the Dragoon Trees. We follow the well marked "sendero autoguiada" past the environmental sensitive area of the Las Nieves, the laurel forest in the area of Puntellana, in the northwest of the island. 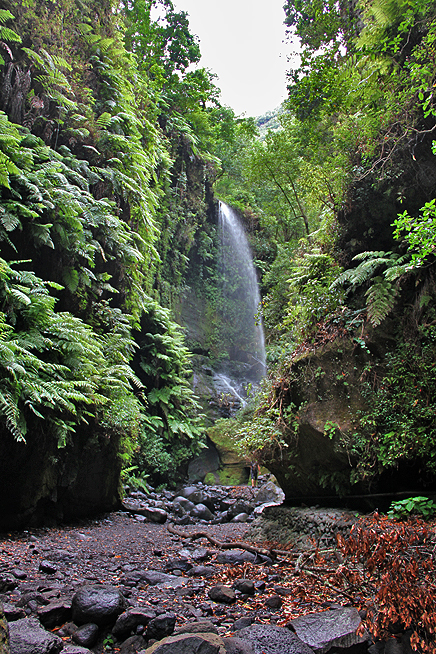 The best way to discover the breathtaking landscape of La Palma is on foot. Starting from the rocky coast, scenery changes to areas with succulent plants, passing fruit orchids and continuing through pine and laurel forests up to the highest peak, the Roque de los Muchachos (2426m). But that's just the tip of the iceberg, so to speak. The imposing mountain massif makes up the island's foundation walls and reaches as far as 4000 meters below sea level. There are no limits on your imaginations, up the mountains above the clouds or down the deep canyons with dragon trees as well as walking trough a fairy tale forest. More than 1000 kilometre of hiking trails lead through spectacular sites of natural beauty, originating from the vigorous power of fire-spitting volcanoes. Tours range from easy walks to demanding hikes. In any case, it is advisable to have a good hiking map, non-slip and ankle-high shoes, outdoor clothes suitable for wind and sunshine, and apart from your camera don't forget to take along a nice snack and sufficient drinking water. Hiking sticks provide support and make a great supplement. Having a professional on your side has many advantages. In case you prefer not to set off alone or you are looking for something special we recommend to join guided hiking tours. Apart of beautiful views you learn more about the unique nature and the history of our Isla Bonita. Some of the most beautiful tours like Marcos y Cordero are highly recommended accompanied by a guide. Organized transfers make sense for other tours, like the Volcano Route featuring different starting and end points, Besides, hiking in good company as a shared experience makes it more enjoyable.